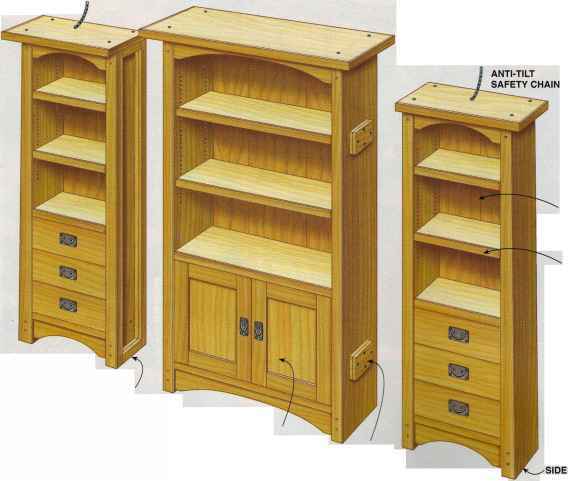 Knockdown joinery makes this cabinet easy to build, easy to assemble and easy to move. Everyone loves bookcases. 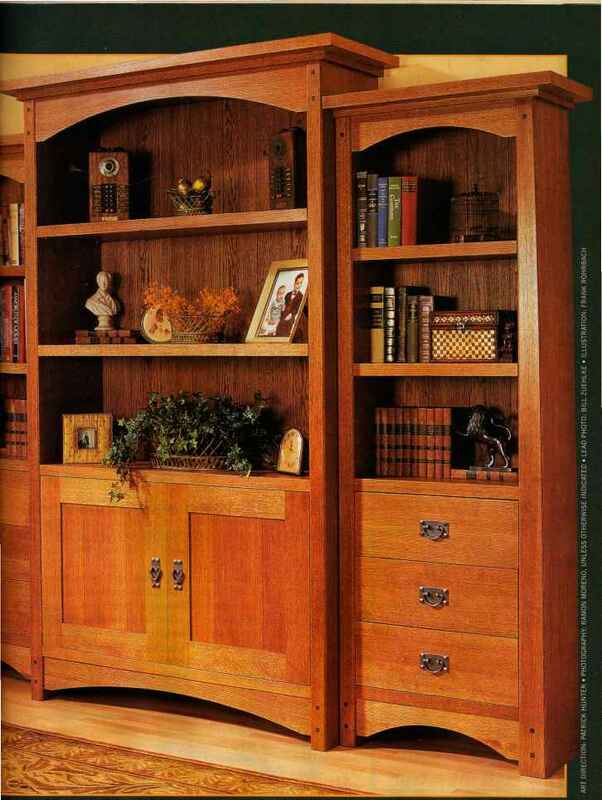 This beauty, with its Arts and Crafts overtones, offers abundant storage and style. We used rift-sawn white oak and built-up plywood parts to give this case the look of solid wood. The thick shelves will not sag even under a heavy load of books. Graceful arches, decorative pegs and hammered-copper hardware enhance the hand-crafted feel of this grand cabinet. This is a large cabinet, but knockdown joinery allows you to build it even in a small shop. The knockdown design makes moving it into your house less of a hassle because there are no big or awkward parts to handle. To achieve this knockdown design, we used a combination of pocket screws and biscuits to join the cabinets together. The thick side panels are built like a sandwich made up of two outer panels with fillers in between to give additional thickness. 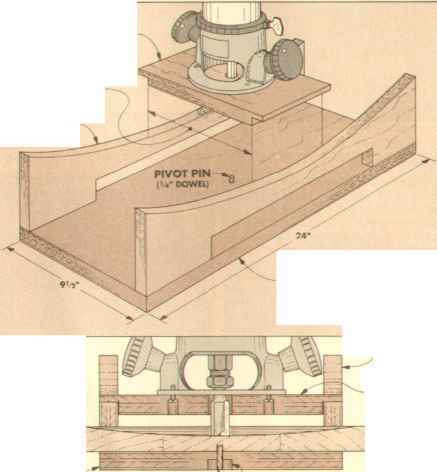 What you end up with is a hollow panel that is strong but relatively light in weight.